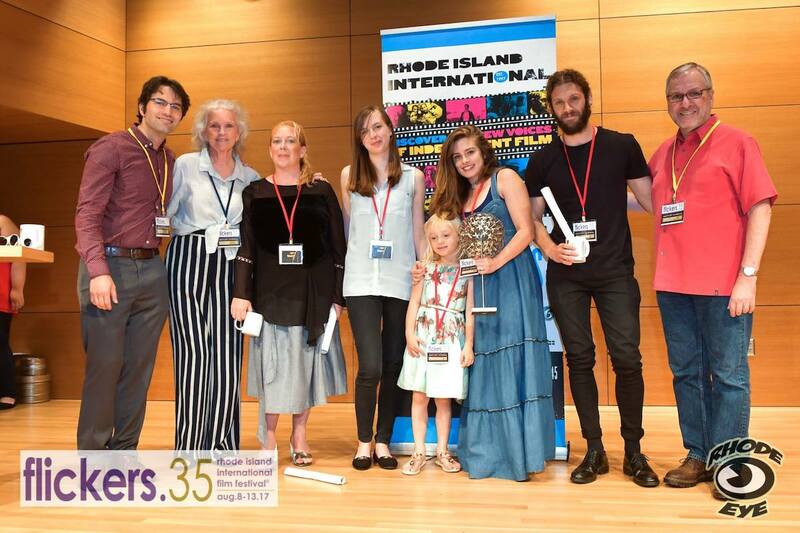 Flickers’ Rhode Island International Film Festival (RIIFF) announced the Award Winners for its 35th Anniversary Celebration of Flickers, on Sunday, August 13th. The winners of RIIFF’s Live Action, Animation and Documentary Short Grand Prizes hold a special honor: they become the Festival’s nominees for Academy Award consideration. “The Silent Child,” directed by Chris Overton from the United Kingdom (2017) won the the award for Best Live Action Short. “The Silent Child” follows the story of a profoundly deaf child, and the deaf-specialized social worker who struggles to help the family try to understand their child’s deafness. “Coin Operated,” directed by Nicholas Arioli from the United States (2016) won the award for Best Animated Short. “Coin Operated” is an animation that spans 70 years in the life of one naive explorer, as he works to earn enough money to take a coin operated space ship to outer space. And “Marian,” directed by Rick Rogers, a Rhode Island native and Rhode Island School of Design Graduate, won the award for Best Documentary Short. Filmed over eight years, “Marian” documents the final years of renowned actress Marian Seldes’ life and touches on the themes of identity, the worship of others and the deterioration of family. In other awards, Douglas Trumbull, renowned visual effects artist for such films as “Close Encounters of the Third Kind,” (which is celebrating its 40th Anniversary in November), “2001: A Space Odyssey,” and “Blade Runner” received this year’s Inaugural Gilbert Stuart Artistic Vision (Lifetime Achievement) Award. Johnny Wilson, visual effects artist for such films as “Ant Man,” “Doctor Strange,” and “Captain America: The First Avenger” was presented by Steven Feinberg with this year’s RI Film & Television Office Dream Maker Award. Presented to a filmmaker whose vision excites audiences and judges alike about the potential to produce compelling and successful films in the future. Presented to a filmmaker and artist who represents the spirit of cultural exchange between the United States and Canada. Celebrating Films that Reflect the Jewish Experience. Presented to an individual who inspires and empowers communication and cultural understanding. Given annually to films or filmmakers who inspire social change and community outreach and strive to better the world in which we live. Presented annually to a New England director whose work brings cinematic excellence to an international audience. Presented to a film that resonates with the filmmaker within both children and adults alike. Celebrating the vision of man’s shared humanity and achieving sustainability on our planet.